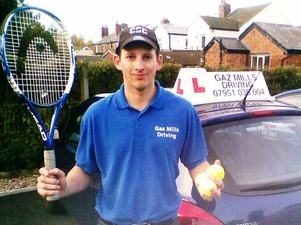 Rainford Tennis Club are delighted to announce that Gaz Mills Driving School have extended their agreement to be our official club sponsor. Gaz Mills Driving School is the area’s premier driving school offering the very best in driving instructor for pupils both old and young. “We are delighted that Gaz Mills Driving School have agreed to continue their support of Rainford Tennis Club in what is going to be a very exciting year in the Club’s development” said Ian Spencer, Treasurer of Rainford Tennis Club.